Jackie Jackson turns 60 today. May 4: Singer-songwriter Nick Ashford of Ashford and Simpson is 69. 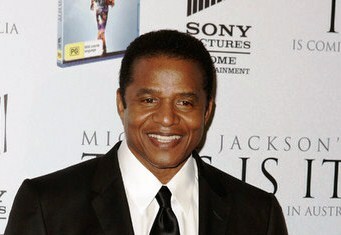 Singer Jackie Jackson of The Jacksons is 60. Singer Oleta Adams is 58. Look at what God accepts, over the sacrifices of people who chose him in a church. *Proverbs 21:3 To do justice and judgment is more acceptable to the Lord than sacrifice. *21:7 The robbery of the wicked shall destroy them; because they refuse to do judgment. *21:15 It is joy to the just to do judgment: but destruction shall be to the workers of iniquity. *21:16 The man that wandereth out of the way of understanding shall remain in the congregation of the dead. (Do the churches ever speak on scriptures of 21, why? Judges 16:21= 1st Kings 21:21 God will put your spiritual eyes out and shut up you up, from knowing time and judgment in the churches.